Originally posted on Saint Joan of Arc’s website. 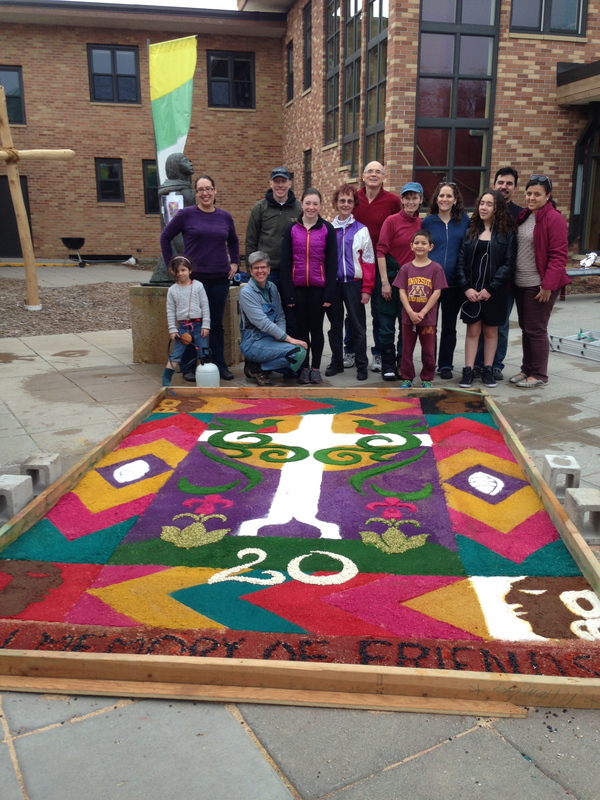 For hundreds of years, Guatemalans have created these elaborate carpets (made of colored sawdust, flowers and other natural materials) to line the routes of the many processions held during Lent. These carpets have developed into an amazing artistic display of faith and devotion, taking hours and hours to create, only to be trampled by the procession in a matter of seconds. Alba Lima: Alba and her husband Antonio were involved in Sister Parish in TNII and had acted as a host family for SJA delegates. Alba died suddenly this past month. 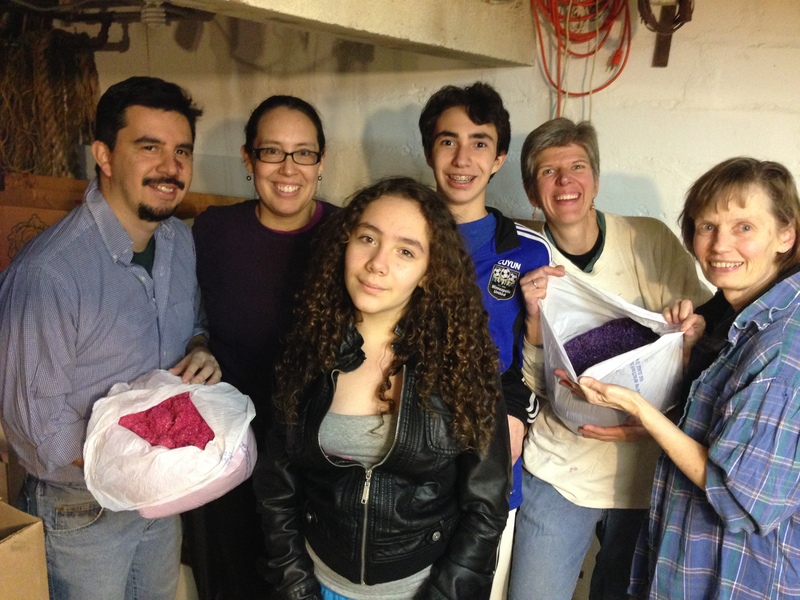 Viviana Quiroz Gonzalez: Viviana was the daughter of Aura Marina Gonzalez and Paul Quiroz Ramirez, one of the founding TNII families of our 20-year Sister Parish relationship. Viviana died at a young age in an accident in December 2013. Bob Heberle: Bob was one of the founders of our Sister Parish relationship with TNII, a former board member of Sister Parish, Inc. and a passionate warrior for justice. Bob died in October 2013. …and others who have died in the past year. 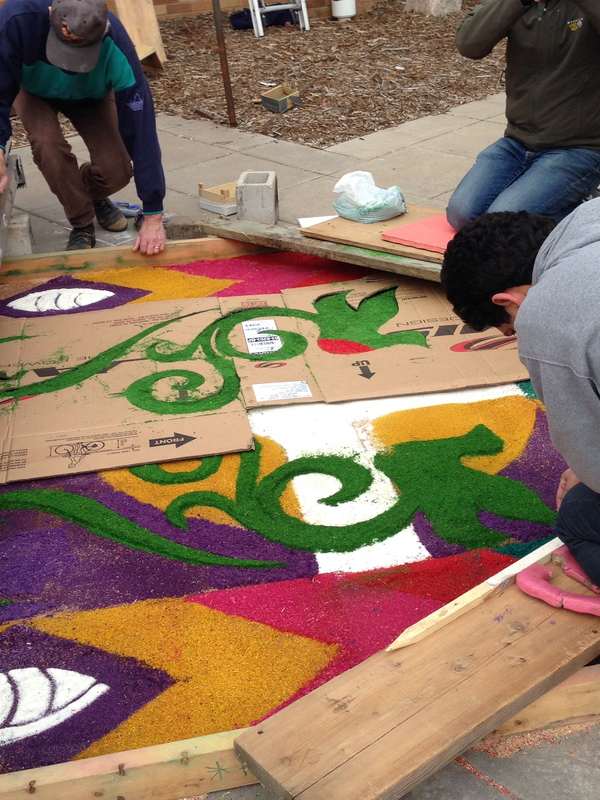 A big thank-you for all those who helped create the alfombra — it wouldn’t have happened without you! For more information about our Sister Parish relationship in Guatemala, please go to the Sister Parish page on this website. Here is the explanation of the symbols used in the alfombra this year. This entry was posted in General, United States and tagged st joan of arc, tierra nueva ii. Bookmark the permalink.